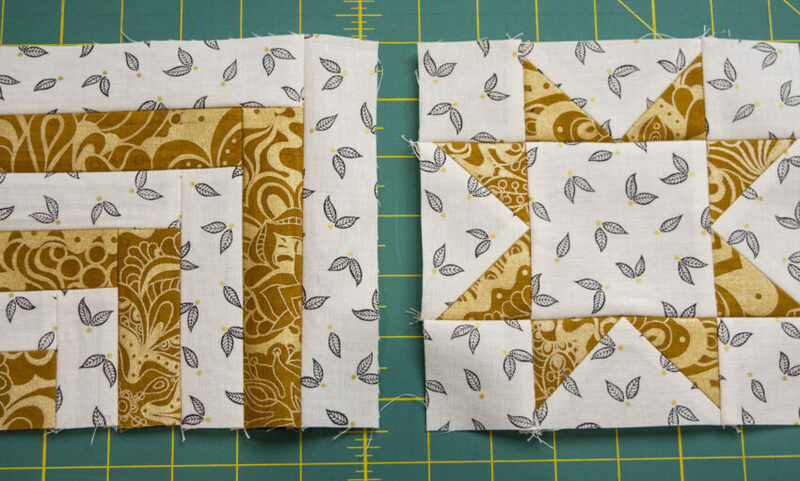 My story… About three years ago, two of my daughters did the “You Can Quilt” project for 4H. 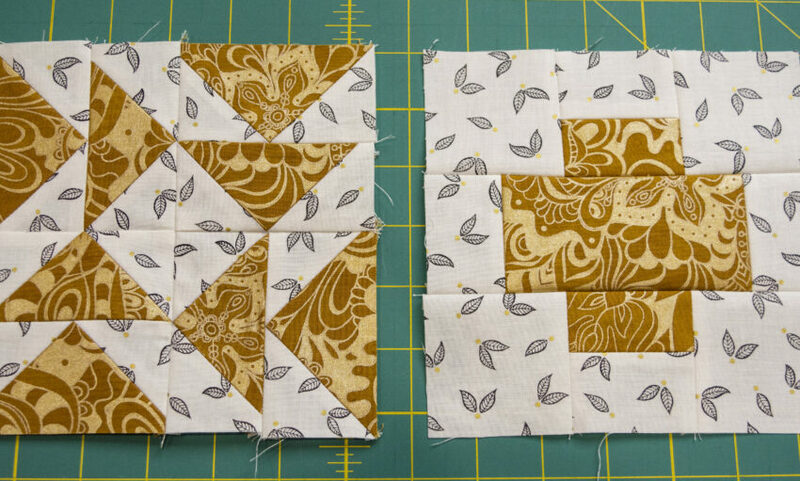 They enjoyed it so much that they have continued taking quilting projects each year since then. I have stood by, helping a little here and there learning along from the 4H book and various patterns. I thoroughly enjoyed watching their enthusiasm and their skills develop. 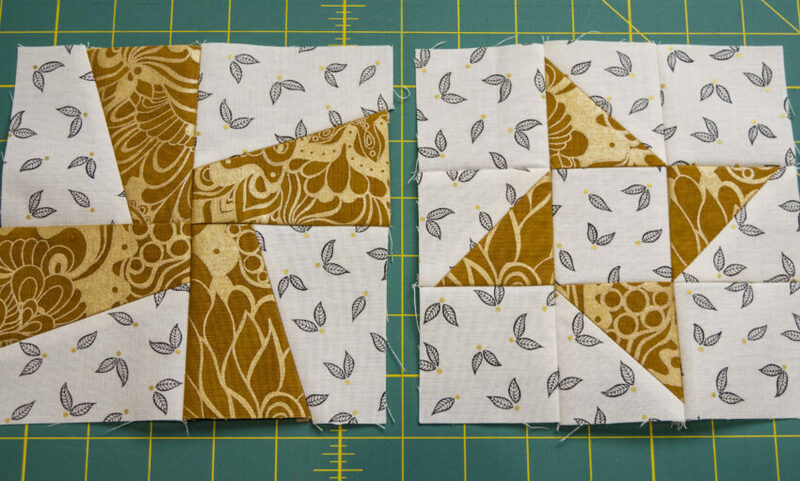 Basically, I have enjoyed quilting vicariously for the past three years. I am a mother of 10 children that I home school, so I am a little busy and rarely have much time for myself. This past fall, I visited a local Bernina dealer, Quilt Beginnings, with my daughters to complete one of their 4H requirements. We had never been there before. I walked in and was immediately inspired! There were beautiful colors everywhere, a huge variety of fabrics, and quilts hanging all over from ceiling to floor! 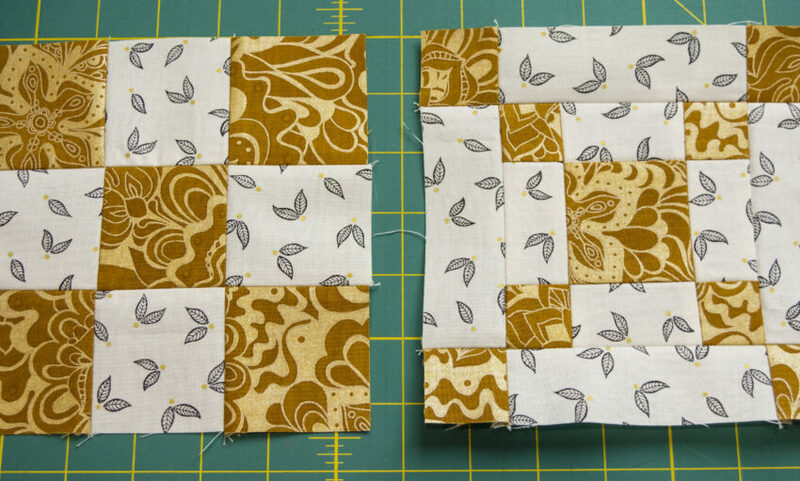 I decided since my youngest was about 18 months and becoming more independent, I could carve out a little free time for myself and finally try my hand at quilting. 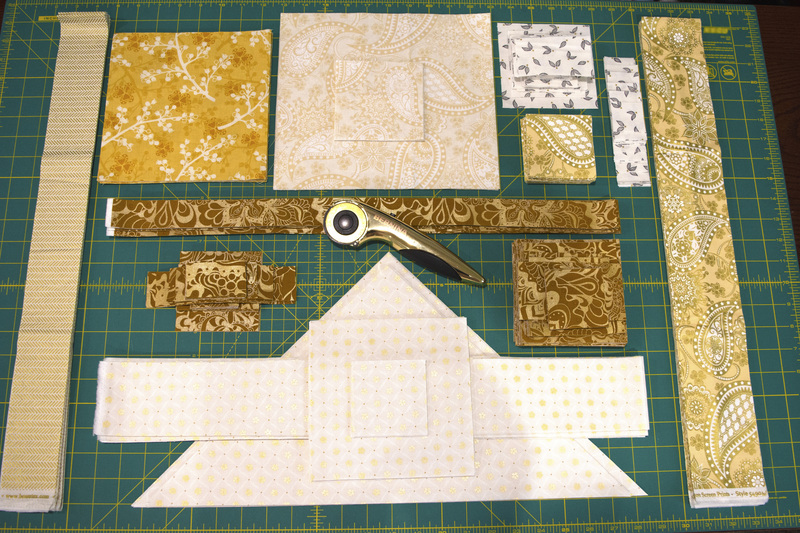 So, I bought my first quilt kit. I was so excited!! I got started right away and as you all may guess, I was hooked!! I loved it! The only problem was that I had one sewing machine that was being shared between 8 of my children and me. There was always quite the line at the sewing machine and ironing board. One night, there were 7 of us taking turns on the machine! Needless to say, my precious free time was not being used very efficiently. I realized I needed another sewing machine. I went back to Quilt Beginnings and said, “I need a machine that is heavy duty, robust, and can take a bit of abuse from small children and inexperienced sewers.” A kind lady named Joyce, sat me down at a sewing machine and proceeded for the next hour to show me all its bells and whistles. I FELL IN LOVE!!! The stitches were perfect, the machine was so quiet and operated so smoothly! It sounded like a kitten purring. 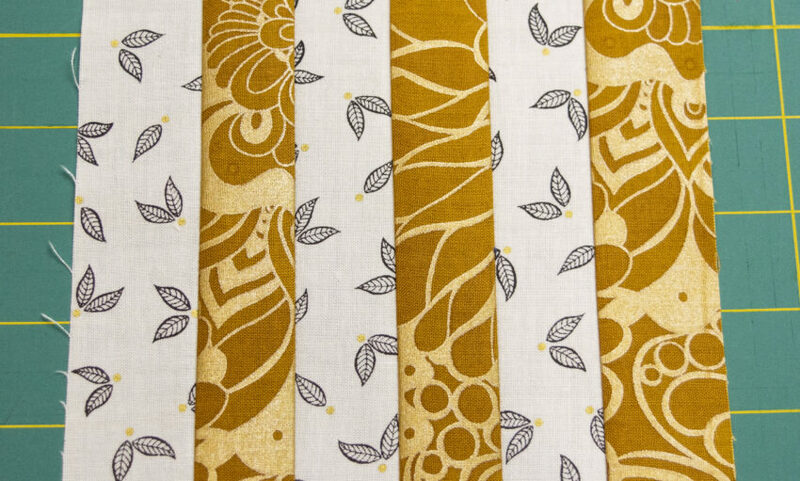 I have been sewing since I was in high school, all kinds of clothes from pajama pants to button shirts and fancy dresses, so I have a lot of experience on sewing machines. I could tell this was a good machine. I realized then that the machine the lady had me sewing on was a Bernina 790 Plus. I knew nothing about Bernina machines other than my high school sewing teacher, who taught me to sew, owned one and I loved sewing on her machine. I have always had the same brand of sewing machine – not a BERNINA. Sewing on the Bernina made my machine at home feel like one of those tiny hot pink plastic sewing machines you buy at a discount store for your 5 year old. I went home and could think of nothing else for the next week. My son joked that he had never seen me so excited about something. My budget was tight, but I started searching and in the end was very blessed to find a screaming deal on a used Bernina 880 and my husband was so generous and bought it for me! (I might have shed a tear or two of joy.) 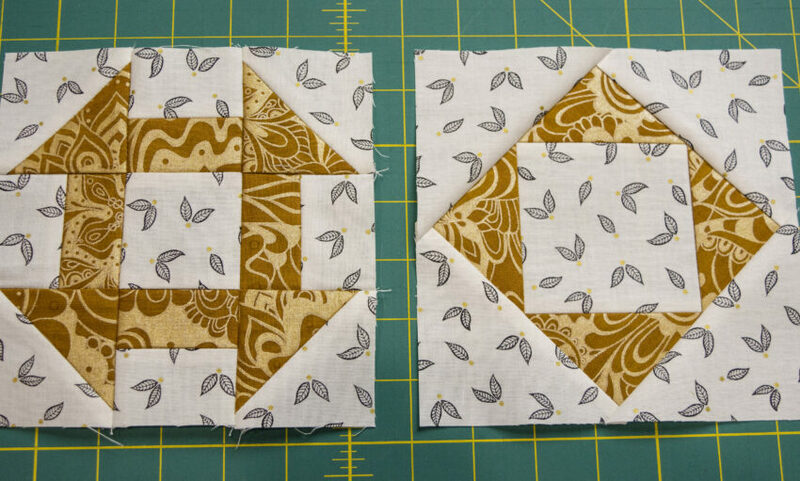 After having completed my first quilt top on my other machine and not knowing how to quilt and bind it, I decided to take a quilting ABC’s class at Quilt Beginnings. 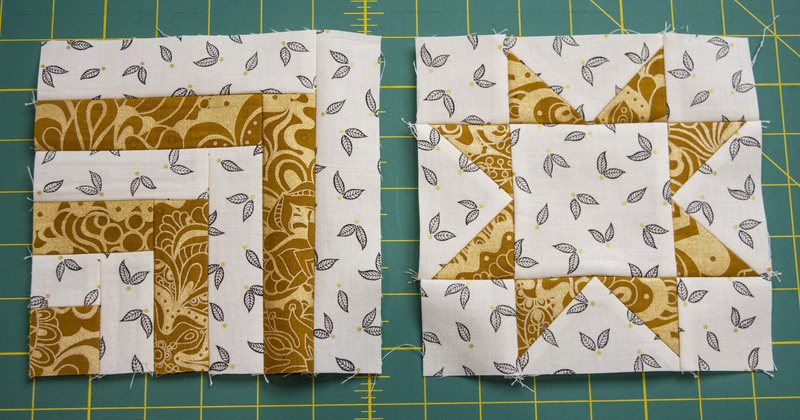 I figured I could kill two birds with one stone: learn how to make a quilt from start to finish and learn how to use my new Bernina 880. 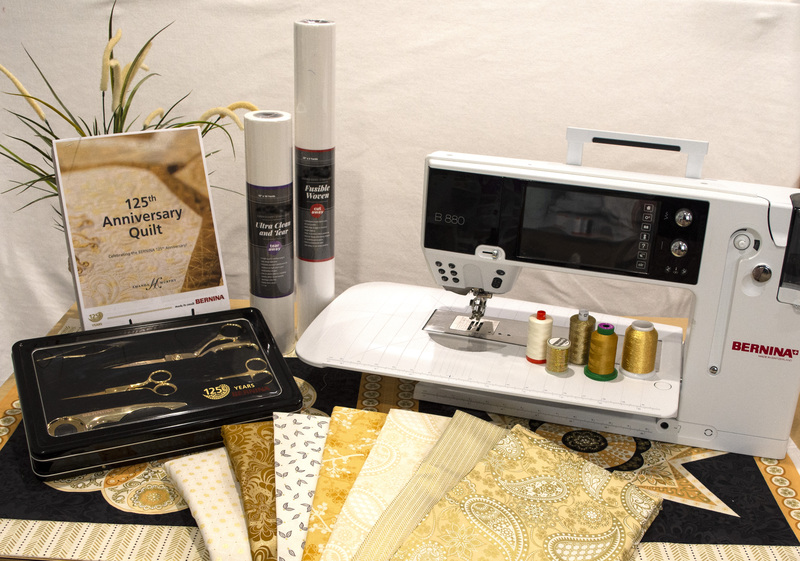 At Quilt Beginnings, I saw the golden Anniversary edition Bernina machines. The moment I saw them with all the incredible bonus products, I wanted one! As mentioned before, my budget was a little too tight to make that happen, but I was determined to do my best to find as many of the bonus items as I could. 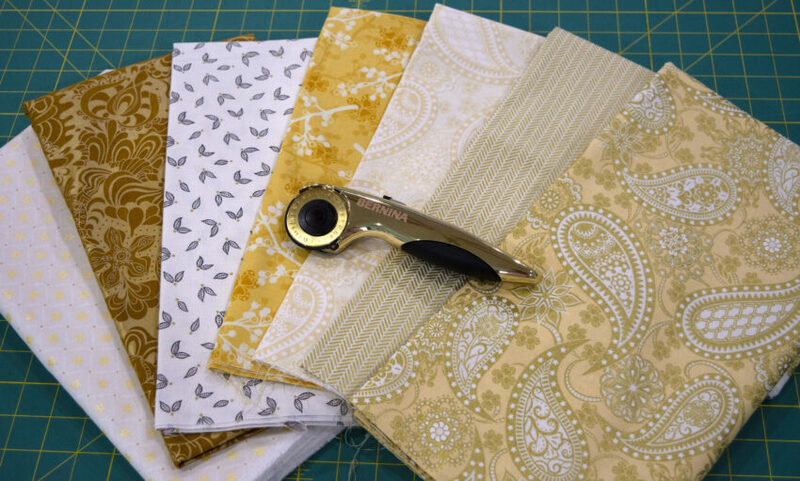 I found and purchased the rulers, embroidery designs and the quilt kit. I LOVE the Anniversary Quilt!! I love the fabrics, the embroidery, the design, everything. Amanda Murphy did a GREAT job designing it!! 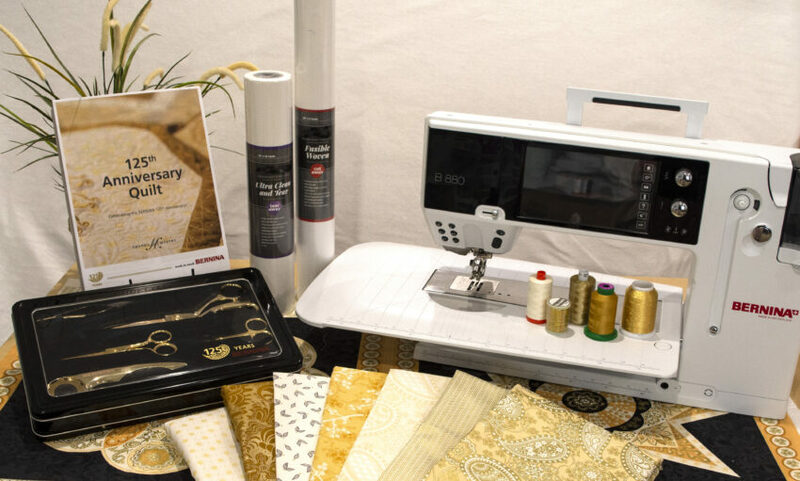 In the process of tracking down the pattern, I ran across this contest to win a brand new, gorgeous, Anniversary edition Bernina 770. Boy, would my children love this!! 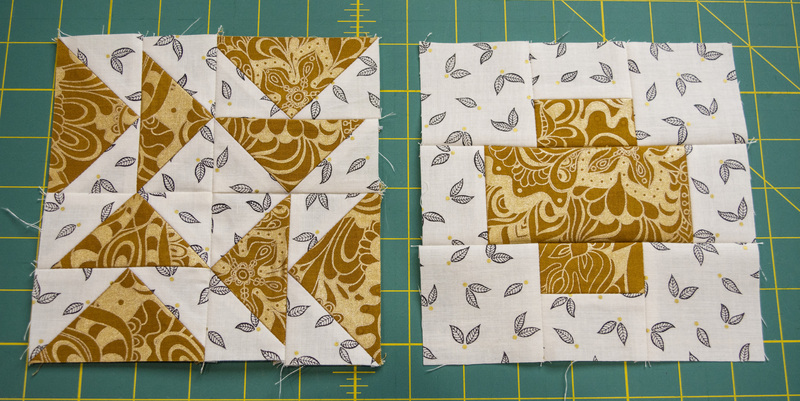 Now that they have sewn on a Bernina, they don’t want to sew on anything else. I agree with them. Bernina, it looks like you have 11 more loyal customers for life!! Right after I got my Bernina, my old machine promptly broke (good timing and good riddance), so I am still in need of another machine. All my kids are much more excited to sew now and each have a long list of projects they want to try on the Bernina. So, here I am in this contest. I gathered everything on the list of materials in the pattern. Many items I had never even heard of or even knew what to do with them. Clean and tear, fusible woven lining, couching inserts, and how did was that thick Dazzle thread supposed to fit through my machine? Did I mention I am pretty new to all this…? I was finally ready to begin. As I studied the pattern, I grew a little anxious. I realized this quilt might be far above my skill level. It had so many elements that I had never done before and didn’t even know how to do yet on my new Bernina, but I decided to just take it nice and slow (relatively speaking since I joined the quilt-a-long with only two months left) and make sure I watched all the tutorial videos as they came out. 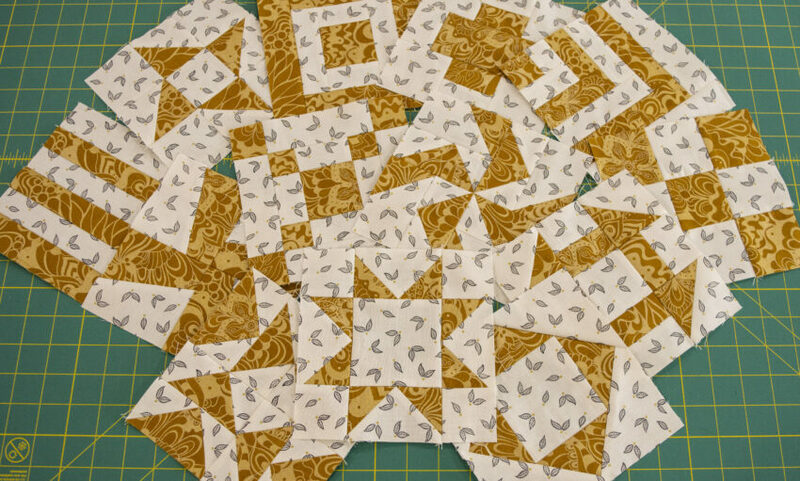 After reading through the whole pattern, I began to cut all the pieces out. 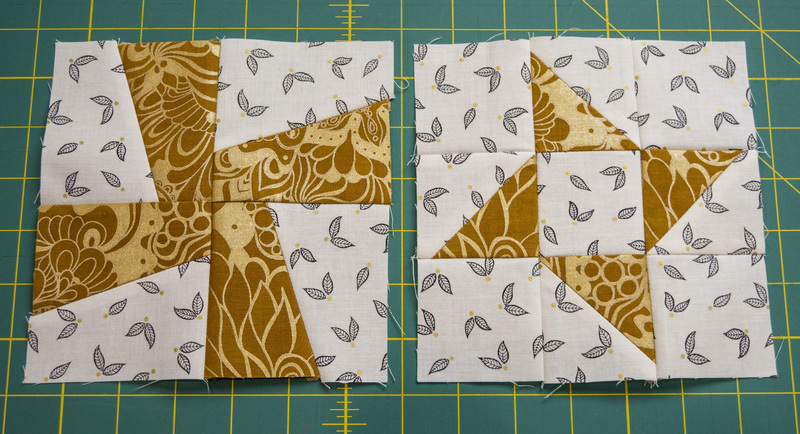 Handling all the fabrics got me even more excited to make this quilt. They are all so pretty. 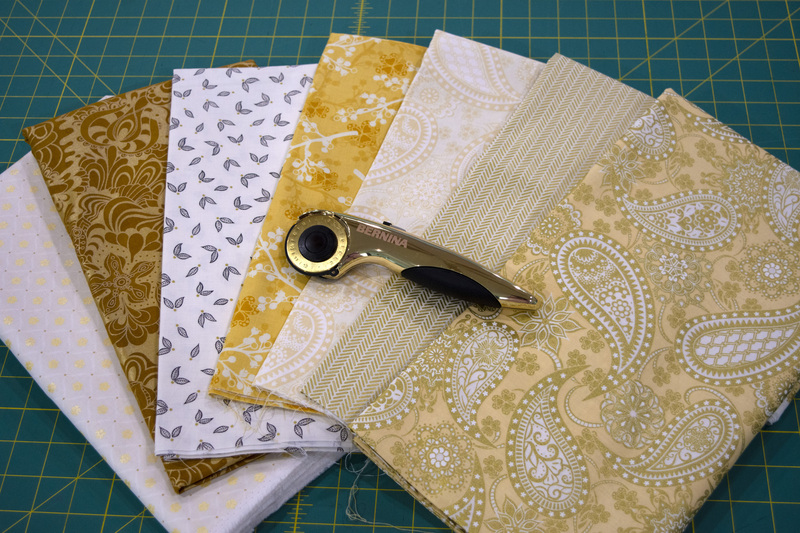 I love how soft some of them are and then the sparkle and sheen of the metallic… This is going to be a gorgeous quilt! 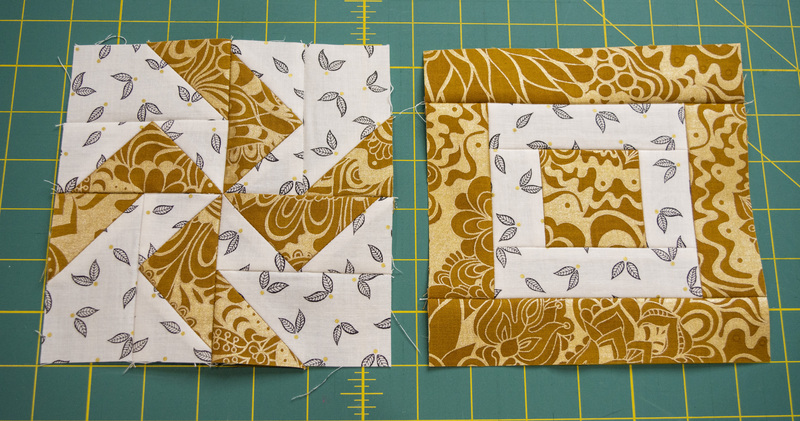 I started with the pieced blocks. 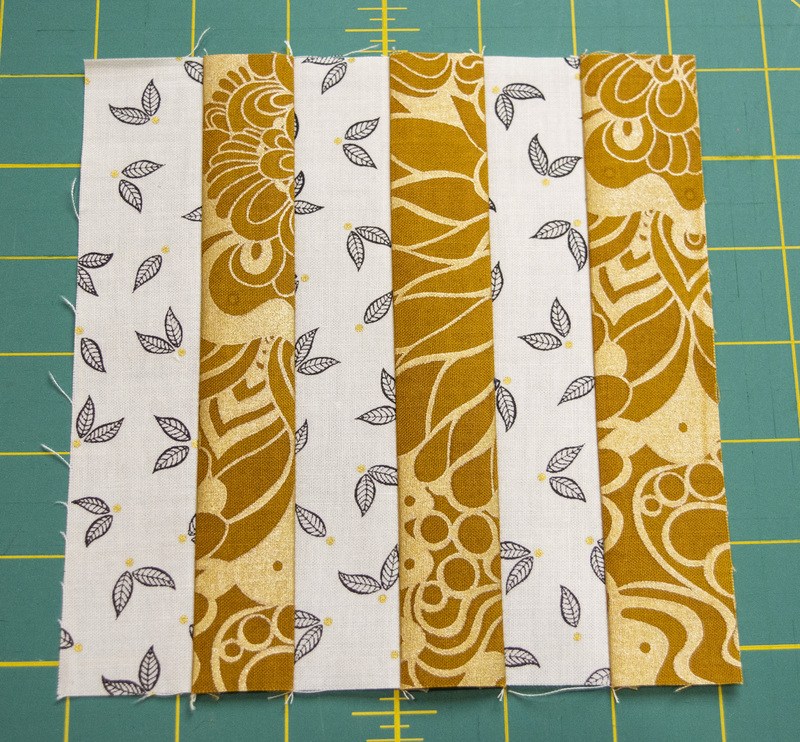 I used my #57D foot with the ¼ inch seam guide. 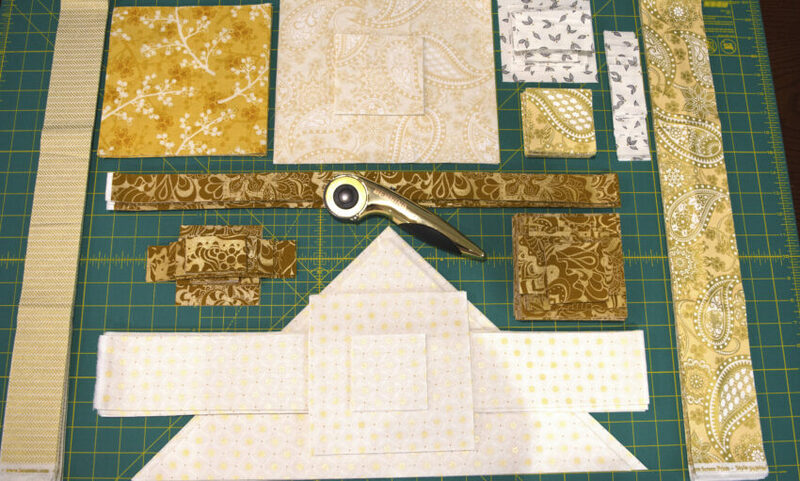 I was sewing along slowly and carefully, using the variable speed feature and the dual feed on the machine (which I LOVE, LOVE, LOVE, – thank you BERNINA!!) 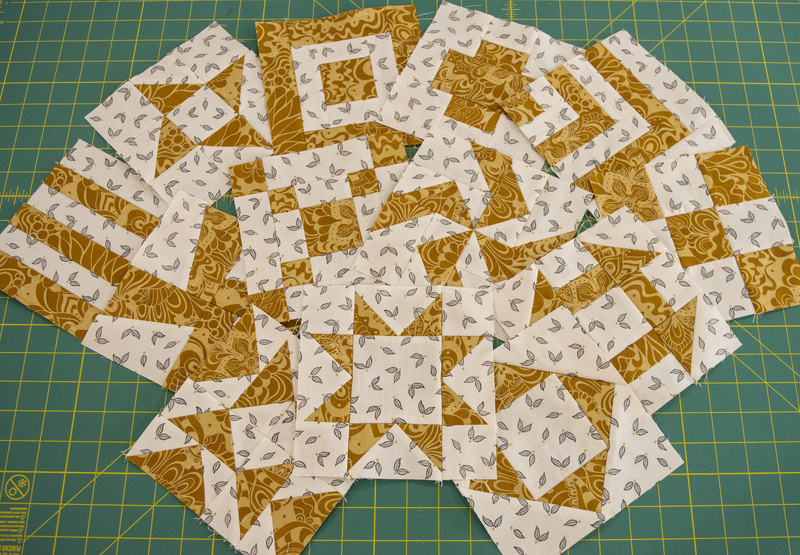 and things were going pretty well until I hit the flying geese block. Man, oh man. That was a tough block for me! It was tricky to get the seams lined up perfectly and, I confess, I had to pull out the seam ripper a couple of times. 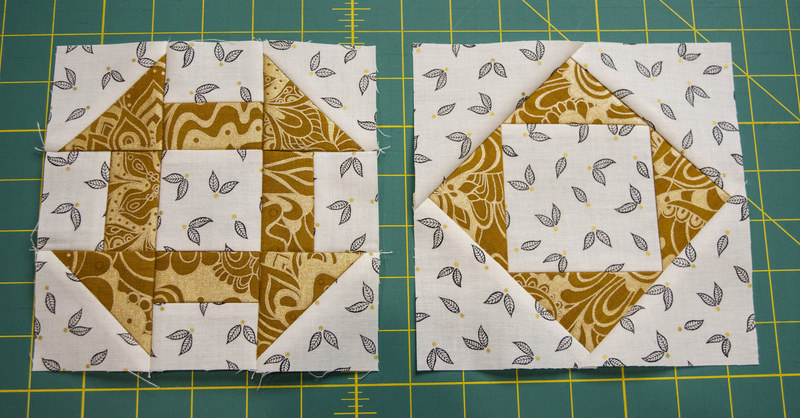 I think my favorite block was the one that looks a bit like a pinwheel, also a little challenging for me to get just right. 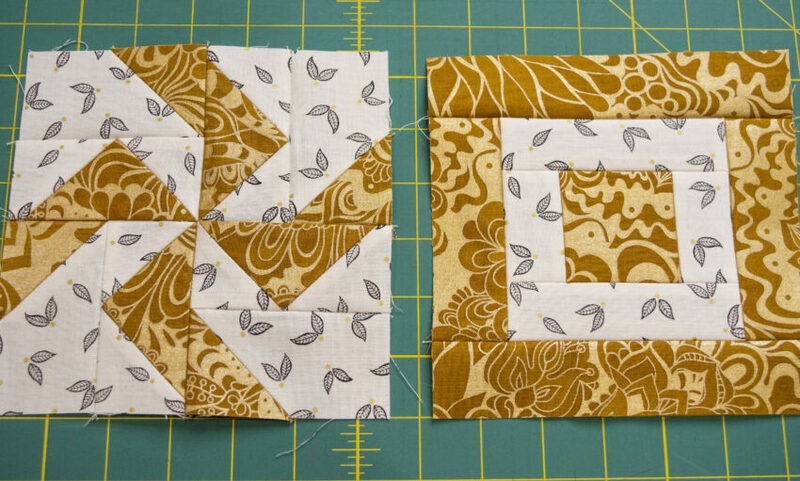 I am so glad that each block is different and that I was able to learn how to do so many different kinds. I am excited for the next step!